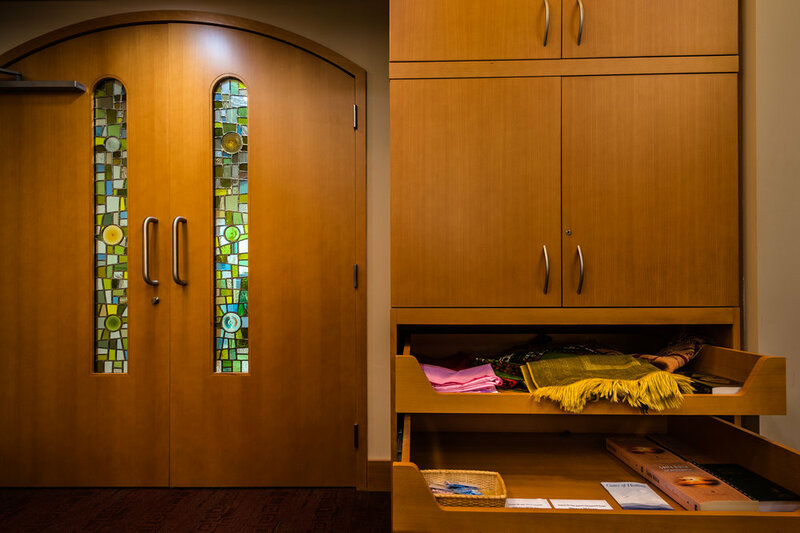 The Dana Farber Cancer Institute built its first Prayer and Meditation Room on an inpatient floor in 1990 and its full chapel in 1995. Planners decided not to name this chapel in an effort to make it as inclusive as possible. Large stained glass panels designed by Robert Frei of the Frei Studio in St. Louis, MO coincidentally connected to former Chief of Medicine Tom (Emil) Frei. This first chapel was moved in 2011 to the current location in Dana-Farber’s new clinical care center. Vertical patterns in the stained glass are intended to represent water, air, fire and the like. Closely resembling the first chapel, the current sanctuary contains a range of religious objects in drawers and space for quiet prayer and meditation. 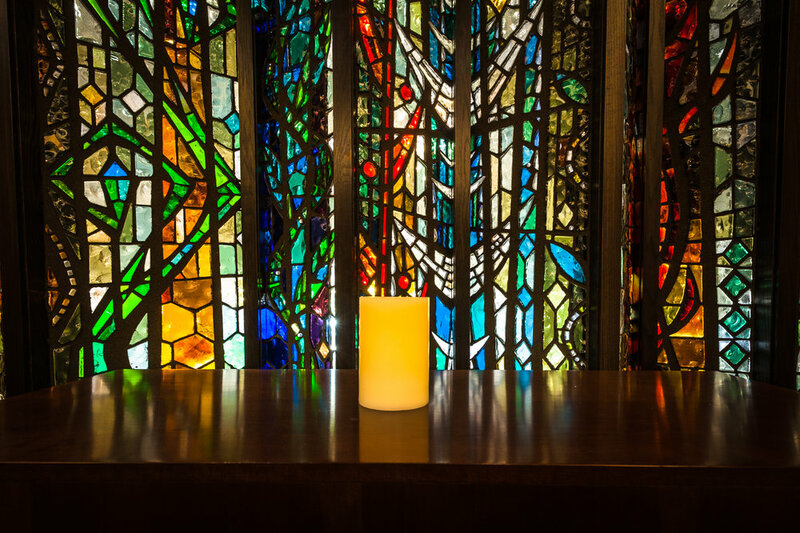 The office of the chaplain is just outside of the chapel and sponsors centering prayer gatherings and a range of spirituality discussions and support groups. The Stoneman Healing Garden was also opened in the Yawkey Cancer Care Center in 2011. 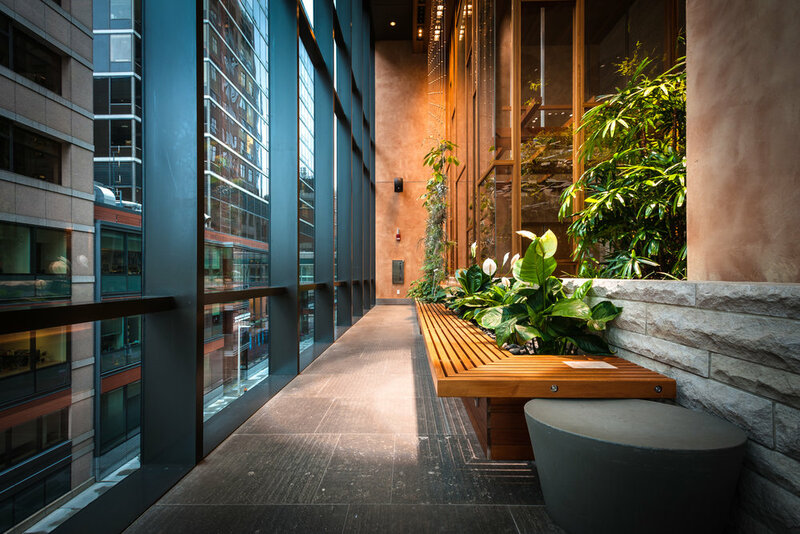 This 2000 square foot indoor garden, designed by landscape architects CRJA-IBI Group, provides a quiet place of respite for patients, families and staff members alike. The Morse Conservatory provides an enclosed space overlooking the Garden for immunocompromised patients.